Jan. 10, 2017, 10:38 a.m. Jan. 10, 2017, 10:38 a.m. In the UK, motorists modify their cars to enhance the performance, style and safety of the vehicle. However, staying legally safe is essential by law. Also, your insurance company would have their reservations regarding the extent to which you can modify your car and yet stay under their cover. If you have already considered the above factors and are ready to render some power and look to your car, here we give you a list of the most popular car modifications done by the motorists in the UK. Remember that getting the right car modifications in a particular order can maximize your car’s power gain and keep your investment outlay as optimum as can be. To be able to brake the car faster is one of the biggest and greatest car modifications you can consider implementing in your vehicle. Bigger brake disks not only stop your car quickly and efficiently but will also have a longer life. You could also consider brake pads which render much higher performance. Another brake modification would be to replace the standard brake disks with grooved and perforated ones. You need to ensure that your vehicle’s brake modifications are done by a certified engineer. If you are a true car modifications savvy motorist, you would bring about engine modifications in the form of reboring, balancing, cryo treating and grind and polish. Reboring involves increasing the engine capacity of your car to increase it’s RPM and generate more power. Balancing ensures that the engine of your vehicle reaches it fastest speed safely. Cryo treating your engine will remove all the heat generated by the engine is brought down to it’s ambient temperature in a quicker manner. Similarly grinding and polishing the valves of your car’s engine will render more mileage to your car as it allows more air into your engines which in turns facilitates effective burning of the fuel. One of the most popular car modifications include stepping up the fuel pressure and consequently, the flow of fuel to the engine. This will steadily increase the power of your engine. However, care should be taken to set the ratio of fuel to oxygen right to ensure appropriate fuel burning. This is enhanced by the high performance fuel pumps and large injectors. You can look to make these car modifications only if you have done other modifications and facing fuel starvation issues. Your car’s look can be largely improved by bigger rims just as adding alloy wheels can. There are a plethora of wheel fitment options available with the car modifiers however you need to be ensure that you fit the one which is exclusive to the model of your car. If you are looking to fit a larger rolling radius, the acceleration might be slightly dampened. The most common and popular type of car modification are the undercar neon lights which have been around for a while now. However, a few legalities bind this kind of car modification such as that the lights should not be too bright as this might distract your fellow drivers. Also, the tubing should not be visible in order to ensure that the source of light is well placed under the car. If you are planning to incorporate undercar lights make sure that you have a switch on/off facility. There are certain legalities which bind the fog lights, headlights and the rear lights as well and although these are quite popular car modifications, you can still refer to the lighting laws in the UK in order to keep your driving license safe. It is advisable to refrain from modifying the lighting system of the headlights and the fog lights to ensure total safety while driving at odd hours of the day and unsuitable climatic conditions. Upgrading your exhaust system will boost the performance of your car’s engine however installation of big bore exhausts are generally accompanied with increased emission and noise which might not be suitable for the UK public roads. In this case, you have to secure an exhaust silencer as well. Number plates modification is the most common car modifications and in case you are considering to change your present registration number to a one which relates to you, you must ensure that your new number plate complies with the current UK legislation of format, font, spacing, characters and size. Your number plate must be displayed clearly and should be made in such a way that it should be white reflective in the front and yellow reflective at the rear. Under no circumstances, should your number plates be misleading to your fellow drivers and passengers. Spoilers are one of the most popular car modifications and the most effective way to enhance the look of your car. 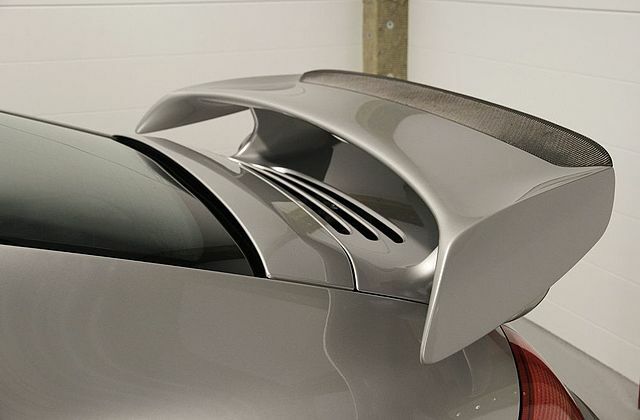 If you have a penchant for travelling at higher speeds, spoilers can enhance your driving experience. The only aspect to keep in mind is to ensure that this modification is securely fitted to your car’s body and has no sharp edges. British motorists love to modify their cars with tinted windows however, the legalities to adopt this car modification needs to be kept in mind. For example, the light transmission should be a minimum of 70% through the front windows and 75% through the windscreen respectively. It is fine to tint the rear windscreen and the rear window doors however if they are tinted too dark, you might be heaved with a penalty and a prohibition notice. Just because a car modification is popular does not mean that it is effective for your vehicle, therefore it is imperative to conduct a customized research about what kind of modifications would you like to bring to your vehicle. Also, it is imperative to inform your insurance company about your car modifications i.e. if they have been already installed when you purchased the car or whether you have fitted them after purchasing it. Failure to make these declarations might turn down your insurance claim or still worse, invalidate your car insurance policy altogether.